Amendments to the International Convention for the Safety of Life at Sea (SOLAS) to make mandatory the International Code for the Application of Fire Test Procedures (2010 FTP Code) were adopted when IMO's Maritime Safety Committee (MSC) met at the Organization's London Headquarters for its 88th session from 24 November to 3 December 2010. The busy agenda also included discussion on piracy and armed robbery against ships off the coast of Somalia and the approval of a revised resolution on principles of safe manning. 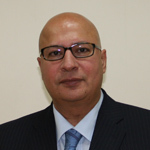 International Dangerous Goods and Containers Association congratulates Irfan Rahim, Head of Cargoes Section (IMO) on his birthday and thanks him for supporting the Association. December 14, in St. Petersburg in the Parliamentary Centre of the CIS the First Meeting of Dangerous Goods Safety Advisers took place under the auspices of the International Dangerous Goods and Containers Association. In capacity of guests there were invited representatives of supervision bodies and administrations. In the course of the Meeting there was held a videoconference with leaders and specialists of the UNECE Sub-Committee of Experts on transport of dangerous goods (Geneva). On the meeting there were raised important issues relating to the training of advisers and their accreditation in Russia. In accordance with the results of the meeting a draft decision and a draft appeal to the Government of the Russian Federation with a view of establishing an advisers institute in Russia are prepared. The Association thanks all the guests and participants of the Meeting for contribution to improving safety of the transport of dangerous goods and containers. The decision of the Meeting and the appeal to the RF Government will be placed on our web-site in the nearest time. 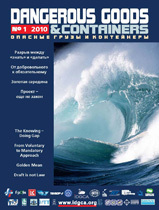 New issue of magazine "Dangerous Goods and Containers"
The next issue of “Dangerous goods and containers” is coming out. The issue is devoted to technical regulations on industrial safety. The UN Sub-Committee of Experts on Transport of Dangerous Goods accepted the IDGCA proposal with majority of votes. During a number of years the IDGCA experts defended their position on change of the rules’ point of the UN Harmonized Recommendations in the part concerning application of the flexible flexible bulk container ( as it is well known the UN Recommendations do not admit the application of soft container with volume more than 3 cubic meters). By efforts of the IDGCA experts, other countries and non-governmental organizations this restriction will be lifted, which will provide the possibility of application of the flexible bulk containers with large tonnage in international transportations. Indeed it is a success on the international scene. We also congratulate “New Technology in Transportation” CJSC under which initiative the proposal was submitted to the UN Sub-Committee of Experts. On the 15-th session of the IMO Sub-Committee on Dangerous Goods, Solid Cargoes and Containers there was established a correspondence group under the Coordination of the United States to consider the options of drafting a new MSC Circular on guidelines for the inspection of cargo transport units carrying dangerous goods or to revise the existing Guidelines on Inspection programmes for cargo transport units carrying dangerous goods (MSC.1/Circ.1202); prepare a draft Guideline and an associated draft MSC circular, taking into account documents DSC 14/17/1, DSC 15/11, DSC 15/11/1, DSC 15/11/2, 15/11/3 DSC and DSC 15/11/4 and MSC.1/Circ.1202; provide a written report to DSC16. M. Ognev, IDGCA Director General, has been also included in the correspondence group on a par with other experts. First comments and motions should be submitted by December 17, 2010. The report on the decisions taken during the session will be published in the next issue of"Dangerous Goods and Containers". The Russian government is trying to interest and encourage all investors who are willing to invest in transport infrastructure. According to Deputy Prime Minister Sergei Ivanov, the introduction of modern technologies, the interaction of different modes of transport and the formation of optimal logistics routes, reducing time-consuming and all kinds of barriers will reduce the share of transport costs in the final price of Russian goods and transit goods. Transport ministers of Russia and South Korea signed an agreement on maritime transport. In accordance with the document, the parties will encourage their shipping companies to cooperate more closely among themselves. For this purpose there will be removed obstacles that impede the development of transport by sea between ports of the two states. Also, Russia and South Korea have agreed on mutual assistance at sea. Each country is committted to render distressed vessels of the other party the same assistance as well as their own. During the period from 29 November to 7 December 2010 the 38-th Session of the Sub-Committee of Experts on the Transport of Dangerous Goods will be held at the Palais des Nations, Geneva with the following program. September 23, at the office of the IDGCA there was held a meeting of representatives of the Association and HOYER company, a leader in worldwide transportation of dangerous goods in tank containers and maintenance of tank containers and other equipment designed to transport liquid cargos. During the meeting there were discussed issues of mutual cooperation in the field of transport security and development of an infrastructure for processing and maintenance of containers in the Russian Federation. The IDGCA Director General M. Ognev is to participate in the 15-th session of the IMO Sub-Committee on Dangerous Goods, Solid Cargoes and Containers as a member of foreign delegation. The session will be held from 13 to 17 September in London. August 16, Grigory Vladimirovich Slabikov, the head of the North-West Directorate of the Russian Federal Service for Ecological, Technical and Atomic Supervision is celebrating his 50-year jubilee. The management and the staff of the International Dangerous Goods and Containers Association congratulates Grigory Vladimirovich on his birthday and wishes him a fruitful work for the good of the security! August 16, 2010 the International Dangerous Goods and Containers Association celebrates its 9-th birthday. Over the years, IDGCA gained international recognition and has repeatedly affirmed its competence, both internationally and nationally. 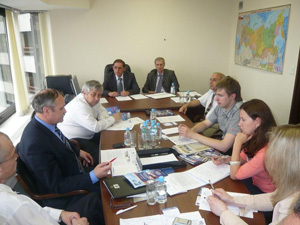 Independent technical policy of the Association on the one hand and a constant desire to create conditions for fair competition on the other hand has earned the respect and gratitude of many Russian companies looking to grow their business not at the expense of administrative resources, but due to their professionalism. Despite the fact that independence is expensive, IDGCA holds the field properly, helps its members and is confident in its future. Congratulations to all members and partners of IDGCA! High emphasis will be placed on the inspection of containers and Approved Continues Examination Program (ACEP). The offers were submitted by the representatives of foreign states, the Secretariat and non-governmental organizations. Representatives of IDGCA are also planning to participate in the session. IDGCA warmly congratulates Yuri Stepanovich Kadzhoyan, the Director General of "LUKOIL-Kaliningradmorneft" Ltd., on his 65-year jubilee. IDGCA wishes Yuri Stepanovich strong health, family welfare, every success and prosperity! "Dangerous Goods and Containers" magazine was highly appreciated by the HBIA (Hot Briquetted Iron Association) whose headquarter is situated in the USA. In particular Frank Griscom, the HBIA Executive Director, expressedgratitude to the editors of "Dangerous Goods and Containers" magazine for publishing the article on shipping, handling and storing of direct reduced iron. Last week representatives of BIC (Bureau International des Containers)and IDGCA took participation in the work of the 2-nd Global Rail Freight Conference. During their visit to St.Petersburg the President of BIC Mr. Hennemand and BIC Administrator Mr. Petiaux visited the office of IDGCA on Marshall Govorov Str. and the International Staff Training Centre located in Strelna where they hold negotiations on cooperation in the sphere of container, transport business and staff training. In the course of the meeting there were planned cooperative activities in Russia and France. On the 37-th session of the UN Sub-Committee of Experts on Dangerous Goods and Containers there was considered the proposal of IDGCA concerning a possibility of using flexible bulk containers for the transport of dangerous goods. Despite the conflicting opinions of experts from various countries regarding the extensive use of these cargo units for more than 3 cubic meters, the IMO representative supported the IDGCA's proposal and suggested the UN Sub-Committee of Experts to refer the matter for review to the IMO Sub-Committee on Dangerous Goods, Solid Cargoes and Containers. June 22, representatives of the North-West Directorate of the Russian Federal Service for Ecological, Technical and Atomic Supervision (Rostekhnadzor) inspected the business of the expert organization “National Bureau of Expertise”, Ltd. (a member of IDGCA) for the carrying out of licensable activities (industrial safety expertise). In the course of the audit there were verified the adequacy of staffing of experts and specialists, workflow, quality systems and other requirements applicable to the expert organizations. The audit results are gratifying. Representatives of the Rostekhnadzor established that the company NBE fully complies with licensing requirements. “National Bureau of Expertise”, Ltd. has been carrying out various activities related to the evaluation of safety and quality. The most highligted areas of focus are support for projects in offshore oil and gas facilities construction, expertise of the equipment used for transport of dangerous goods and expertise of projects in the industrial facilities construction. The next issue of “Dangerous goods and containers” is coming out. 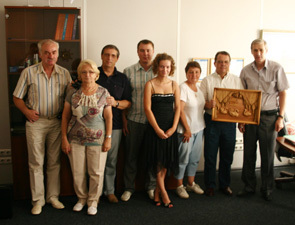 The International Staff Training Centre set up training and attestation preparing (with subsequent certification in the Central Attestation Commission of Rostekhnadzor) of specialists and managers of Russian and foreign enterprises and organizations engaged in construction and operation of hazardous industrial facilities. Applications for training can be sent by fax: +7 (812) 421-54-51, 740-20-19 or by e-mail:istc@idgca.org orinfo@idgca.org. IDGCA congratulates Shekshuev Viktor, JSC TransContainer’s Deputy General Director, on his birthday and wishes him business success, strong health and prosperity! Viktor Shekshuev actively participates in the development of IDGCA, in view of that the Association expresses its sincere gratitude. During the period from 21 to 30 June 2010 the 37-th Session of the Sub-Committee of Experts on the Transport of Dangerous Goods will be held with the following program. June 1, in Moscow, in the World Trade Center there was held a meeting of the International Dangerous Goods and Containers Association chaired by the IDGCA President G. Y. Moshkov. The meeting was attended by representatives of URALCHEM, OJSC, “TransContainer”, JSC, “New Technology in Transportation “, “Chrysotile Association” and the leaders of “Russian Register”, JSC and the International Staff Training Centre (ISTC). The meeting was held to attract IDGCA members’ attention to the development of its subsidiaries “Russian Register” JSC and ISTC. As a result of the meeting it was decided to develop the subsidiaries’ business plans which would have been firmly linked to the interests of members of the partnership. During the period from 21 to 30 June 2010 the 37-th Session of the Sub-Committee of Experts on the Transport of Dangerous Goods will be held at the Palais des Nations, Geneva with the following program. 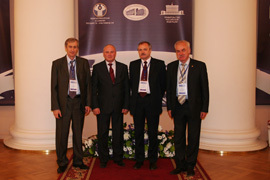 May 14, 2010 in St. Petersburg in the Tauride Palace, the Third Nevsky International Ecological Congress “Ecologization of nature management – a basis for modernization of economy in balance with nature” took place. 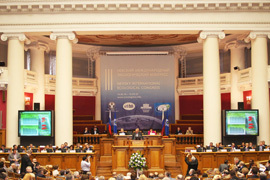 At the opening of the plenary session of the Congress by Sergei Mironov, the Chairman of the Organizing Committee of the Congress, Chairman of the Council of the CIS Interparliamentary Assembly, Chairman of the Federation Council of the Federal Assembly of the Russian Federation, and Kandeh К. Yumkella, the Director General of the UN Industrial Development Organization (UNIDO). Congress participants were welcomed on behalf of the President of the Russian Federation Dmitry Medvedev, the Chairman of the Government of the Russian Federation Vladimir Putin and the Foreign Minister of the Russian Federation Sergei Lavrov. During the plenary session speeches were delivered by Andrei Denisov, the First Deputy Minister of Foreign Affairs of the Russian Federation; Vladimir Kirillov, the Head of the Federal Service on Control in the Sphere of Nature Management of the Ministry of Natural Resources and Ecology of the Russian Federation; Gennady Onishchenko, Head of the Federal Service on control in the Sphere of Protection of Consumers’ Rights and Human Welfare of the Ministry of Health and Social Protection of the Russian Federation and others. After seeing expositions of participating organizations the Congress has continued working at round tables: ”Power efficiency and modernization of economy”, “Ecology as a sphere of global interaction”, “Ecology, water and healthy life-style”, “Civil society for the “green planet” “Ecology and Culture”. At the final plenary meeting, the participants of the Congress adopted a final resolution, which stated that "the issues of environmental security, economy modernization and energy efficiency should be considered systematically and comprehensively. For the successful solution of the key environmental problems one should need decisive actions of the state power bodies, responsibility of the business, active participation of the civil society and the public behavior oriented at preservation of the nature. " The representatives of IDGCA and its subsidiaries took participation in the congress. On the photograpg (left – right): Ognev M.I. 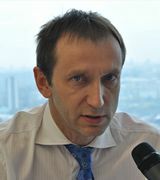 – IDGCA Director General; Zakharov A.Y. 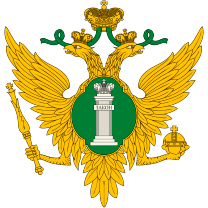 – Assistant Chairman of the Federation Council of the Federal Assembly of the Russian Federation; Shidlovskii V.E. 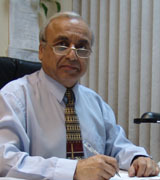 –ISTC Director; Tsikhiseli V.G. - IDGCA Deputy Director General. At the 15-th international exhibition “TransRussia” TransContainer, JSC and DB Schenker BTT (GmbH) held a meeting with clients and presented a new service in the field of chemical goods transportation in containers. 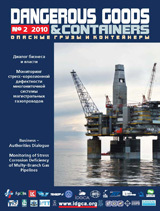 In developing the product the company DB Schenker BTT used its competencies in the field of containers equipment, as well as the experience in intermodal transportation of chemical goods, and TransContainer used its experience in the sphere of goods transportation in universal containers, as well as the capabilities of its container terminals in Russia. The main advantage of this service is the customer centricity and the European quality. Today TransContainer in association with German partners has developed and implemented the service of the European level for the transport, storage and handling of tank containers with chemical goods for a number of clients. "We have been providing such a service in Moscow and Nizhny Novgorod for a year. In the future we plan to expand our network of terminals that can receive and process chemicals in cooperation with the company DB Schenker BTT. This will allow us to offer our clients a service of a new level and meet the logistical requirements of chemical sector enterprises with various degree of complexity ", - Stanislav Stankevich, Director of the Centre of the organization of transportation in specialized containers TransContainer, said. IDGCA congratulates Dmitry Vasilyevich Osipov, Director General of Uralchem, OJSC, on his birthday and wishes him further development of his company, business success, happiness and strong health! Emil Akhmedovich Akhundov, a technical director of "New Technology in transport", JSC, will celebrate his jubilee on April 28. The team of IDGCA thanks Emil Akhmedovich for his contribution to development of international and national legal framework and wishes him strong health, happiness, every success, courage and family well-being. 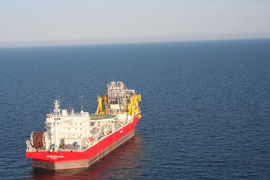 The subsidiaries of “Lukoil” OJSC – “Lukoil-Kaliningradmorneft” and “Lukoil-Nizhnevolzhskneft” – prepare the facilities for extraction and shipment of oil from the Korchagin field. The field includes drilling platform, living quarters, submarine pipeline, single-buoy mooring, and floating oil storage unit. Unique complex objects require full inspection and obtaining the necessary permits to operate. Safety evaluation of the objects is being carried out by several Russian and foreign companies, including ABS, DNV, RMRS, TUV, NBE, etc. National Bureau of Expertise is responsible for the integrated assessment of conformity of the objects to the requirements of the industrial safety. 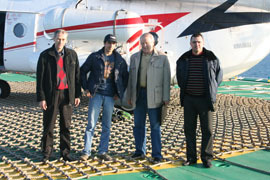 The scheduled inspection was carried out on the 25th of March, 2010. Vladimir Shidlovskii was appointed Director of the ISTC. Vladimir Shidlovskii graduated LHMEC named after admiral S.O. Makarov in 1987. After graduation he worked in Expedition of Special Sea Pilotage where he worked his way up from a third assistant to a captain. 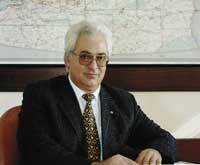 Since 1995 Vladimir Shidlovskii worked on ships under foreign flags as a chief officer and a captain. Vladimir Shidlovskii had been serving as a chief of navigation safety in the shipping company before he joined the International Staff Training Centre. Vladimir Tsikhiseli, who had been working as Director of the International Staff Training Centre since its foundation, heads the ISTC Board of Trustees and executes duties of the IDGCA Deputy Director General. 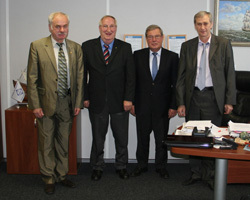 The regular meeting of the International Dangerous Goods and Containers Association held to hear reports and elect new officials took place on the 17th of March, 2010. The representatives of United Chemical Company “URALCHEM”, OJSC, “TransContainer” Ltd., “National Bureau of Expertise” Ltd. and others attended the meeting. 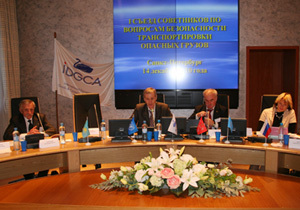 Among others, the question related the election of the Director General of “IDGCA” was placed on the agenda. All the participants of the meeting unanimously reappointed the acting Director General Ognev Mikhail. International Dangerous Goods and Containers Association congratulates the fair half of mankind on the International Women’s Day! 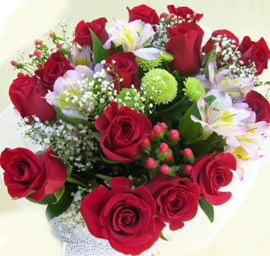 Dear women, please accept our heartiest congratulations and best wishes on this beautiful spring day! We sincerely wish you happiness, health, good spring mood and family well-being! Be always loved and surrounded by male attention and the sea of smiles! Members of the expert commission on technical regulations "On sea transport and the related indrustructure safety" and "On inland water transport and related infrastructure safety", expressed their views concerning the technical regulations developed by CNIIMF, Russian River Register of Shipping and Russian Maritime Register of Shipping. Ministry of Transport of Russia has approved a border crossing procedure scheme for individuals, vehicles, cargoes, goods and animals passing through the sea and river (lake) checkpoints. The general procedure scheme defines a sequence of major control operations at the sea and river (lake) checkpoints for two groups. These groups are: transport (sea and river vessels, cars transported by these vessels, buses, railcars, containers) and persons tracking transport vehicles, cargoes, goods and animals (crew members, transport drivers, freight forwarders and other). The main control activities (both on arrival and on departure) fall into activities on the organization of state control and activities within this state control. In particular, within the activities on the organization of state control by the captain of vessel (ship owner or the person authorized by him) the advance request for arrival/departure of the vessel should be sent to the port administration (the port captain). The activities within the framework of state control depend on type of objects which are to be subjected to this control. There are several agencies at border crossing points carrying out passport control, customs clearance, sanitary and veterinary control, traffic control, etc. These agencies are directed to minimize the procedures time, exclude the repeat of actions and procedures as well as to prevent unnecessary delay of vehicles, cargo, goods and animals. Special considerations relating to the main actions during state control are established for certain objects. These objects are fishing fleet vessels, yields of aquatic bioresources and the products made of these, cruise ships, ferries which had obtained permit for passenger transport, the passengers who go by these ferries, liquid cargo vessels and the persons and the goods on these vessels (excluding bulk liquids for export). The order has been registered by the RF Ministry of Justice on the 12th of February, 2010. Registration № 16401. As always, the reader can get acquainted with Russian and foreign article writers, who expose the problems related to dangerous cargos, containers and maritime safety. The independence of the magazine from the authorities and the market situation allows the writers to express their opinions freely, whosesoever interests this opinion may affect. Professional approach to the problem presentation attracted to the magazine not only ordinary readers, but also experts with world name. Ukraine gained member status of European Agreement Concerning the International Carriage of Dangerous Goods by Inland Waterway and is entitled to vote at the Administrative Committee sessions. The event took place within the framework of the regular session of the Working Group on the Carriage of Dangerous Goods by Inland Waterway. 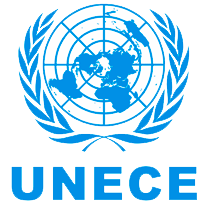 During the topical meetings of UNECE Inland Transport Committee working bodies, delegates discussed measures to strengthen security and improve the existing international legislation on Carriage of Dangerous Goods by Inland Waterway in the European region. The Ukrainian delegation also submitted to the Administrative Committee of the Agreement Concerning the International Carriage of Dangerous Goods by Inland Waterway its application for inclusion of “The National Classification Society “Ukraine Register of Shipping” into the list of organizations recommended for acceptance by the contracting parties to the Agreement. January 20, 2010 at the Ministry of Industry and Commerce (Moscow) a meeting of expert commissions was held for examination of the draft of technical regulations "On safety of maritime transport and related infrastructure" and "On safety of water inland transport and related infrastructure". The developer of the drafts of regulations on maritime issues was CNIIMF, and the developer of the draft of regulations on inland water transport was River Register. According to CNIIMF “the experts” of the Russian Maritime Register of Shipping also took participation in the development of the maritime transport safety regulation. Members of the expert committee criticized the draft of two regulations and suggested that it did not comply with the law “On technical regulation”, which was the main reason for drafting the regulation. Some formulations of the draft have caused not only questions but also puzzled how the professionals of such qualified organizations could develop such a ridiculous project. It was also surprising that the draft had already been agreed with many ministries and departments including the Ministry of Transport of the Russian Federation. According to the IDGCA experts and experts from other organizations the adoption of technical regulations in the given statement may cause a damage of all transport and shipbuilding industry. IDGCA specialists consider necessary to remove the document from discussion and to send for a fundamental processing, and believe that first of all it is necessary to bring the Merchant Shipping Code in accordance with the law "On technical regulation". The 41st session of IMO Sub-Committee on Standards of Training and Watchkeeping (STW) took place since 11 to 15 January, 2010 in London. 77 IMO member states, as well as representatives of 29 international organizations sat on the Sub-Committee. Draft amendments to the International Convention on Standards of Training, Certification and Watchkeeping for Seafarers (the STCW Convention) and its associated Code have been approved by the Sub-Committee on Standards of Training and Watchkeeping (STW). Editorial changes were made for all the chapters of the Convention and the Code draft text. Requirements for seafarers working at oil tankers, chemical carriers and gas carriers carrying liquefied gas were also revised. For the first time ever STCW included requirements for crews executing ice conditions navigation. Draft Convention includes provisions on training of personnel working at vessels maintaining operation of offshore oil-gas fields. The Sub-Committee adopted draft amendment to the STCW Convention and STCW Code for introduction of mandatory training for security officers/guarding on vessels by the Rule A/VI-5 and A/VI-6. Revised texts of the Convention and the Code are ready for submission to a Diplomatic Conference that will meet in Manila, Philippines, from 21 to 25 June 2010, for adoption. 13 draft resolutions were prepared for the Diplomatic Conference. One of them suggests introduction of amendments to the Convention each 5 years and revising of the Convention each 10 years. The Sub-Committee has also considered establishing IMO basic courses of STCW Convention application, adopted draft amendment to rule V/14 of MARPOL Convention and draft resolution of IMO Assembly on the principle of minimum staffing of vessels instead of resolutions А.890(21) и 955 (23). International Dangerous Goods and Containers Association expresses deep condolences to the citizens of Haiti in connection with the terrible earthquake happened on Jan. 12, 2010. We hope that with the help of the international community it will be possible to localize the terrible consequences of the earthquake and rebuild the economy of this amazingly beautiful country and its wonderful people. International Dangerous Goods and Containers Association decided to provide all possible assistance and transfer a part of the funds received as contributions from the Association members to the Earthquake Victims Assistance Fund.